Larry E. Musser, 75, of Hamburg, passed away on Saturday afternoon in his residence after a courageous 11 month battle with lung and colon cancer. Born in Denver (Redrun), on June 19, 1943, he was a son of the late Dorothy M. (Buohl) Musser. 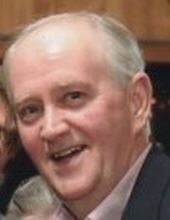 He was a 1961 graduate of Ephrata High School, where he was Sr. class president, and attended Millersville University. Larry was a member of Bethany United Methodist Church, Hamburg and the Hamburg Rotary from 1973-1983. He enjoyed working outside and took a great deal of pride in his garden and yard. Larry loved all children. He especially looked forward to spending time with his grandchildren. In addition to his mother, he was preceded in death by a son, Mark Christopher Musser on June 13, 1983; sisters: Nancy Lesher, Patricia Clark, and Kathryn “Kay” Croft; and nephew, Brent Hertzog. Larry is survived by his wife, Lorna (Weik) to whom he celebrated 55 years of marriage on July 6th; daughter, Meredith Bixler, wife of Terry, of Hamburg; grandchildren: Cole Bixler, fiancée of April Allen, of Richmond, KY; Alexis Bixler, of Hamburg; great granddaughters: Grace and Joanna; sisters: Janet Martin, widow of Robert; Doris Kuhns, wife of Paul; and Donna Bowman, widow of Gerald, all of Ephrata; many nieces and nephews; several grand nieces and nephews; and his Mexican daughter, Gabriela Becerril, who first came into Larry’s family’s life as an exchange student in 1981 and had returned many times to visit with her American family. companies, including: Nissley Bottled Gas, Inc., Ephrata, PA, where he started his career in the industry; Suburban Propane, Lenhartsville, PA, where he was a district manager and also, an instructor at their training facility in Charlotte, NC; Penn Fuel Gas, Inc., Oxford, PA, where he was vice-president of the propane division; Coast Energy, where he was the manager of the NGL East Marketing; and Plains Marketing, where he worked in the sales division and from where he retired in 2005. He was President of the Pennsylvania Propane Gas Association from June 1994-July 1996. Larry was admired by his colleagues for his extensive knowledge of his profession. He was also a part-time locksmith for many years. Funeral services will be held on Saturday, October 13th at 10:00 a.m. at The Bridge Church, 3561 Old 22, Hamburg. A viewing will be held in the church on Friday evening from 6:00-8:00 p.m. and on Saturday morning from 9:00 a.m. until the time of service. Interment will follow in Mellinger’s Cemetery, Schoeneck. To send flowers or a remembrance gift to the family of Larry E. Musser, please visit our Tribute Store. "Email Address" would like to share the life celebration of Larry E. Musser. Click on the "link" to go to share a favorite memory or leave a condolence message for the family.